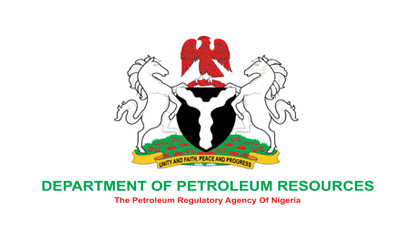 The Department of Petroleum Resources (DPR), said it licensed 147 filling stations in the Federal Capital Territory in 2018. Malam Abba Misau, the Zonal Operation Controller, disclosed this at DPR Abuja Zonal Celebration of the nation’s 2018 Independence Day, on Wednesday in Abuja. “We have about 357 filling stations in Abuja, with our surveillance this year, we have licensed 147 filling stations and 83 out of the licensed ones are new stations. “We also did a raid on 13 illegal filling stations in the territory; right now, five out of them have come to regularise their papers and have been fully licensed; the others are still on the process. “We equally raided about 11 illegal gas stations and four of them have also regularized their registration for proper licensing,’’ he said . He attributed the achievement to the commitment of the staff members adding that the Department would continue to ensure that every operator was properly licensed for business. He urged members of staff and the general public to report to DPR any illegal gas or filling station for proper sanction. He said that the DPR would continue to sanction anybody who failed to follow the laid down rules for the sector and would seal any station that did not meet the minimum requirement to operate. Commenting on the 58th Independence Anniversary, he said that the DPR marked the event to honour the doggedness of Nigerians in sustaining peace in the country. According to him, it is also an avenue to encourage the staff members for their commitment which translates to the growth and development of the country. “We should be proud of our country Nigeria; many countries that go through what we have gone through are no longer together. In her remarks, Mrs Funmi Olorunfemi, Acting Assistant Director, Services, urged the workers and Nigerians in general to put in their best in the work they do. She urged Nigerians to adopt good attitude and culture as practiced in developed world to help make Nigeria great. Also, Mr Clement Katyen, a representative of PENGASSAN, DPR Branch, urged members of staff to be committed in carrying out their duty. “Celebrating Independence should be a clarion call for us to continue to work hard for the growth and development of the country,” he said.